Puncak Inn, located right at the town square in Frasher's Hill, has tourist information in the lobby to enquire more information and book activities. Puncak Inn also offers a variety of accommodation. A 45min taxi ride from KKB costs RM80. 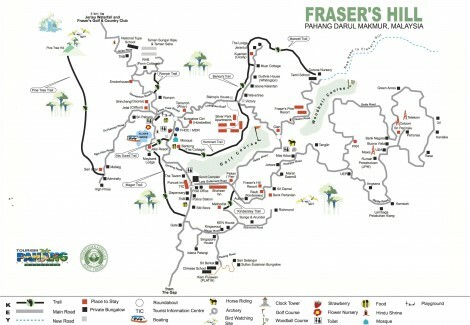 It is recommended to make arrangement with the taxi driver for the return journey as there are no taxis at Fraser's Hill. 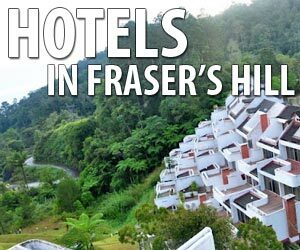 Fraser's Hill only has hotel and resort (bungalow) accommodation, but no backpacker’s type of accommodation. 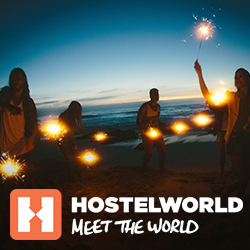 Standard hotel rooms starts from RM100 nett. 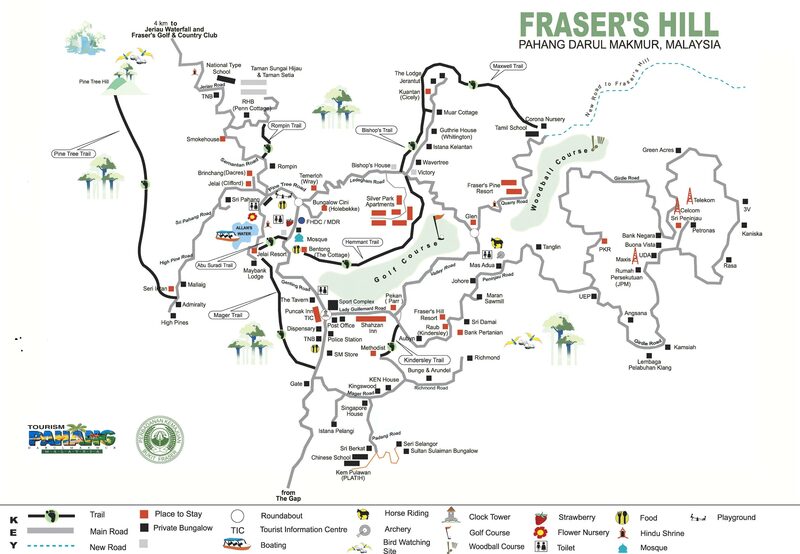 Puncak Inn, located right at the town square in Frasher's Hill, has tourism information in the lobby to enquire more information and book activities. Puncak Inn also offers a variety of accommodation.